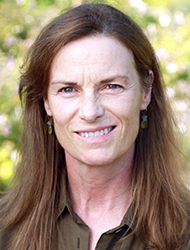 Dr. Philp supervises Team Care shifts in naturopathic medicine and acupuncture and East Asian medicine, and she sees patients in private practice at Bastyr Center for Natural Health. In her practice, Dr. Philp takes special interest in chronic illness, autoimmune disease, pain management, women’s health, therapeutic nutrition, botanical medicine and homeopathy. Dr. Philp has been in practice since 1995 and has served in a variety of roles in the natural medicine field. She has been a professor at Bastyr University, Northwest Institute of Acupuncture and Oriental Medicine, and Southwest College of Naturopathic Medicine and Health Sciences. She was a technical advisor and senior editor for Thorne Research and served as a natural medicine consultant to organizations striving to present natural medicine accurately to health professionals and the public. She has written and edited articles for Alternative Medicine Review. She was recently a public health advisor for the state of Washington and chair of the Naturopathic Advisory Committee (NAC) for the Washington Department of Health's Quality Assurance Program. Dr. Philp earned her ND, MS in Acupuncture and Oriental Medicine and a certificate in Chinese Herbal Medicine from Bastyr University. She also has a BA in art history and English literature from the University of Washington. She is currently completing her PhD in human services with a focus on complementary and alternative medicine. Dr. Philp is a member of the National Certification Commission for Acupuncture and Oriental Medicine, the American Association of Naturopathic Physicians, the Washington Association of Naturopathic Physicians and the Naturopathic Physicians Licensing Examinations.